Gulf Air RV Resort is the perfect beach experience. Just five minutes from the islands of Sanibel and Captiva, our location lets guests explore the best shelling beaches of Southwest Florida. Grab your bikes, bathing suits and towels! 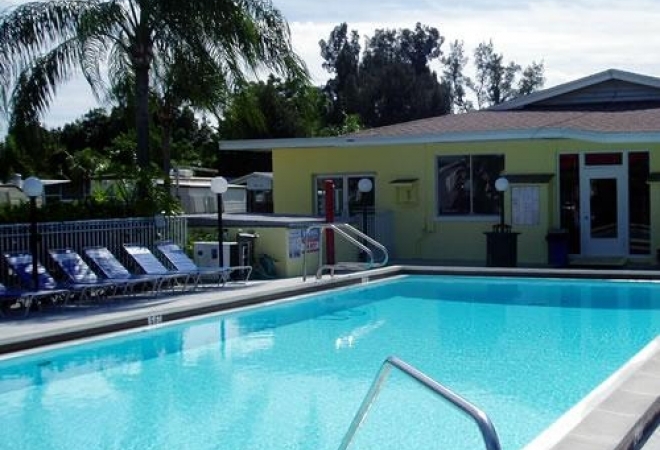 Gulf Air RV Resort is just 2 miles from the sand of Fort Myers Beach. Don't have a bike? No problem! There is a trolley service that stops right in front of our Fort Myers RV resort. At the resort, island hospitality surrounds you with a spectacular heated pool, all-new community room, picnic area, shuffleboard, lawn games area, scheduled activities, laundry facilities, and shower houses. Grab your own slice of a tropical oasis at Gulf Air RV Resort. Stay a day or a lifetime in paradise. Our spacious RV sites are fully equipped with 30/50 amp service, cable TV, water and sewer. Vacation cottages also available to rent!